Last Saturday, Chicago Bulls point guard Derrick Rose introduced his new signature shoe, the D Rose 5 Boost to the thousands of fans in Chicago. D-Rose hosted 20 kids from local nonprofit After School Matters at the adidas store for an intimate Q&A session where he gave advice on how to pursue your dreams, work hard and stay hungry. He presented each fan with their own pair of the D Rose 5 boost, signed autographs and took photos to commemorate the moment. 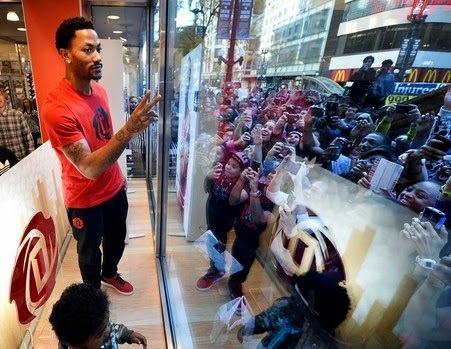 Derrick greeted hundreds of fans at the Foot Locker on State Street who lined up since early morning for a chance to meet the Bulls star. Rose was very thankful upon seeing the photo above. He even sent them a shout-out via his FB Page. 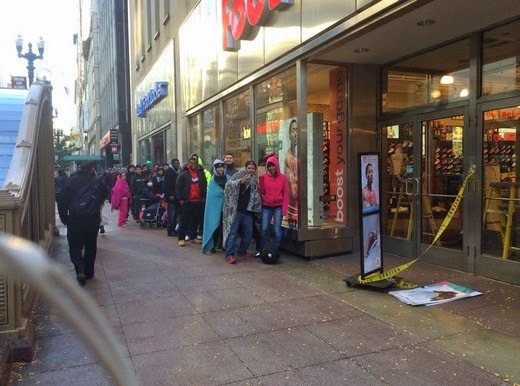 "Just got sent this pic of fans lined up to get their #DRose5 #Boost this morning.... Man, my fans always show so much love! Blessed to have so much support. Appreciate y'all!" Posted D-Rose. The D Rose 5 Boost is the latest adidas signature shoe for Derrick Rose. It features adidas’ most innovative technology, Boost cushioning, to provide heightened energy return and step-in comfort to ensure maximum performance. Signature details are woven throughout the shoe’s design to reveal insights into Derrick, his family and his path to success making it the most personal and innovative shoe in the D Rose Signature Collection. The D Rose 5 Boost is available now for PHP7995 at adidas stores in the Philippines as well as in Foot Locker. Follow the adidas Basketball Facebook, Twitter and Instagram with #DRose5 for more exclusive content.